During an onsite SPC Training event, one of our industry leading SMEs will come to your facility and provide the training. This type of SPC Training can provide immediate value to your team and your SPC process. This method of training is often more convenient for scheduling personnel and enables the team to participate in the training as a group. Onsite training has proven to be a popular option for organizations that have multiple team members that require training. The expenses are less compared to having your entire team travel. 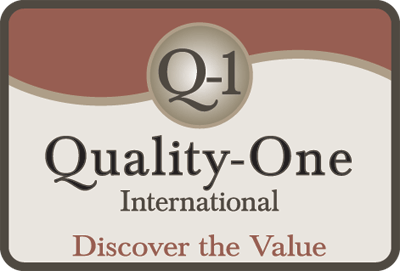 Quality-One Technical Training Centers are available for offsite SPC Training. The offsite training option is beneficial to companies with less than five associates that require a working knowledge of SPC. Our facilities provide the participants an environment free from the distractions and interruptions of daily work activities, which increases knowledge transfer and encourages participation. The offsite training experience can provide opportunities for participants from various industries to share knowledge and experiences. The atmosphere promotes sharing different viewpoints and unique challenges from diverse backgrounds and disciplines. In addition, best practices from one industry are often shared to the benefit of another. This interaction tends to keep interest and participation high. 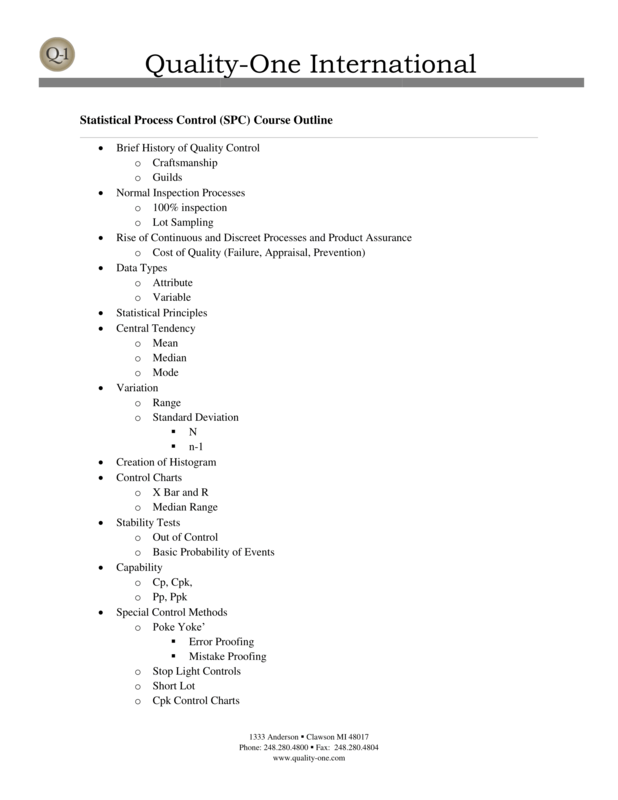 The Quality-One Statistical Process Control (SPC) Online Overview is completely interactive with audio, video, animation and downloadable reference materials. The online overview is perfect for a basic introduction to SPC methodology or for a subject matter review. The online course is self-paced, provides immediate access to SPC content and is available 24 hours a day. The participant will have 30 days to complete the course and may access it as often as desired.